Call me nostalgic or whatever, but this is something that I’ve been thinking a lot about lately. I’ve gotta admit, sometimes I miss the days of throwing on a bright coloured top, some neon plastic beads with some shorts and feeling like I could rule the world. I mean, let’s be honest, I would probably never wear this kind of outfit ever again, but there are some trends that I would LOVE to make a comeback. A lot of people hate these, but as someone that loves a good dress/skirt but is also V scared of it blowing up in the wind, I miss these a lot. Please make them fashionable again? So Summer 2017 saw the reign of the diamonte choker, but I couldn’t help but feel like the old school pearl chokers are a lot classier! To be honest, I just love pearls so maybe it’s just me. Ok, these did make a slight comeback in 2016, but I’m not counting that as they didn’t really ‘trend’. I’ve worn these for years at dancing, and they’re just so handy! Like, as someone who hates trying to make leggings stay inside of my ankle boots, these would really come in handy! Oh my gosh I wish these would make a comeback, and so do my feet! 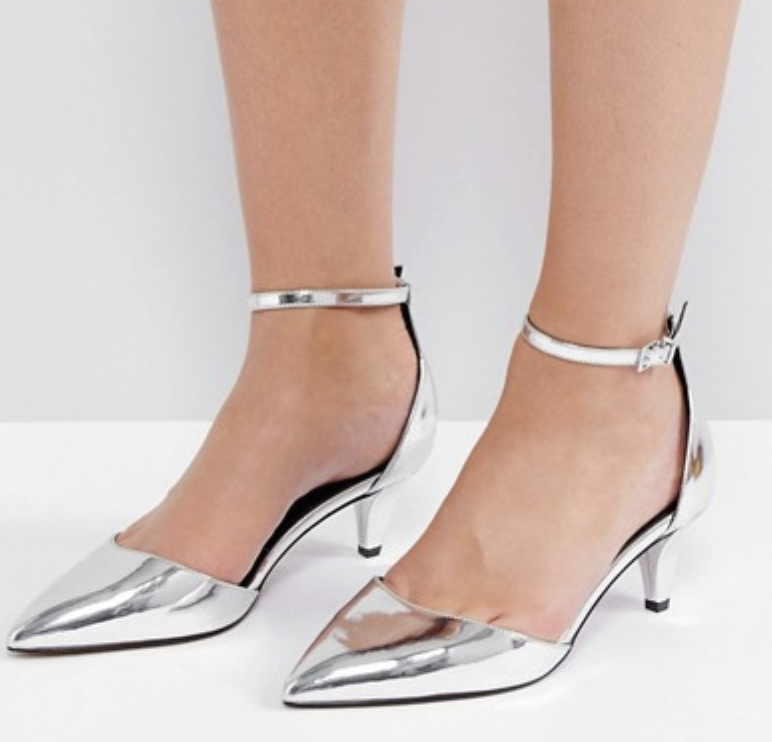 I actually bought a pair a few years ago hoping they were back ‘in’, but unfortunately I look like a 60 y/o off to a tea party so yeah, please please please fashion gods bring these back! I used to feel like the BEES KNEES with my hair styled with a crimping iron. I just bloody loved it! Why did this ever go out of fashion? I’d love to bring it back. What trends do you miss and wish would make a comeback? Let me know in the comments. I would so love for pearl chokers to come back! I’ve never been a trendy type person by these are old school and I love it. Skorts should a be more of a thing though! Pearl chokers would be on my list too. They look so classy and elegant, I love them! I absolutely adore pearls! Like you say, they’re really elegant and classy – I had a long (faux) string pearl necklace as part of a 1920’s Flapper costume and I loved it so much that I wore it as part of my everyday wardrobe haha! Got to agree with you on the skorts too, I used to have a set as part of my Brownie Guide uniform (yes, I was a really cool kid), and it was so comfy! I have a pair of kitten heels but they’re so beaten up that I need a new pair – a trip to Highcross is in order hehe! What a fab post idea! Sometimes I wonder what happened to wearing dresses over trousers, not that I want it to come back, but I feel like everyone has forgotten about it. I love Skorts as well, they’re such a cute thing in an outfit and are so comfy!